We offer Posters as Digital & Offset Posters. Poster by Pharma Prints are especially designed for the people who don't have time enough to read the long literature presented by your medical representatives. They are being posted on Medical Shops, Canteen Area in Hospitals and all other relevant places. Write less & Speak more. We, here at Pharma Prints, are teamed with passionate and creativity driven people. Our poster design service is backed by a quality and creative process of conceptualization, design and printing. Hence, we ensure you that we can communicate your brand idea and product value to doctors with a positive impact through our design and printing services for Digital Posters and Offset Printed Posters. Launching a product with very minimal budget? This is the product that will suit your need. We have taken an initiative in launching this product keeping an eye on the demand of the market. Yes, we can Design and Print as low as 10 posters for you. That too with a smile. Read more about Digital Posters. 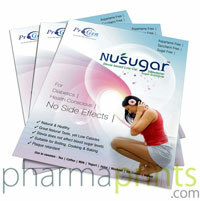 An easy and creative poster design helps a doctor to perceive your products in the best possible manner. High Quality Offset Printed Poster is a way to a healthy communication process. Read more about Offset Printed Posters.